Your K9 Can't Wait to get to the Club! 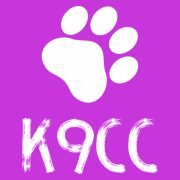 K9CC has been a dog day care since 2000 it offers a park like setting for all members. All K9 members must pass a temperament test and have appropriate vetting to become a member. Once your K9 is a part of the K9 family they may come play or stay & play when every they feel the desire. Your K9 Can’t wait to get to the Club! K9 offers overnight boarding which includes doggie daycare. We only allow dog friendly K9’s to be members. We offer daycare packages for the frequent visitors. If you want your K9 to have a nap or a lunch break just be sure to bring the food you feed and we will accommodate any of your wishes. We ask that any overnight boarders bring food also this alleviates and upset tummy issues. K9 COUNTRY CLUB, Blog at WordPress.com.